Protexin Gut Bind 30ml is a peppermint flavoured paste formulated to settle the gut. It is a 2 course of probiotics, prebiotics, kaolin and pectin that can be used in horses and foals to help the gut. 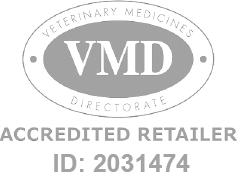 Protexin Equine Gut Bind is a Prescription Only Veterinary Medicine and by law requires a prescription from your vet. Protexin Gut Bind 30ml is a peppermint flavoured paste formulated to settle the gut. It is a 2 course of probiotics, prebiotics, kaolin and pectin that can be used in horses and foals to help the gut. Protexin probiotics help re-establish the normal hindgut microflora.